Influencer marketing has its roots in online communities and forums, where the most active users influence other members. 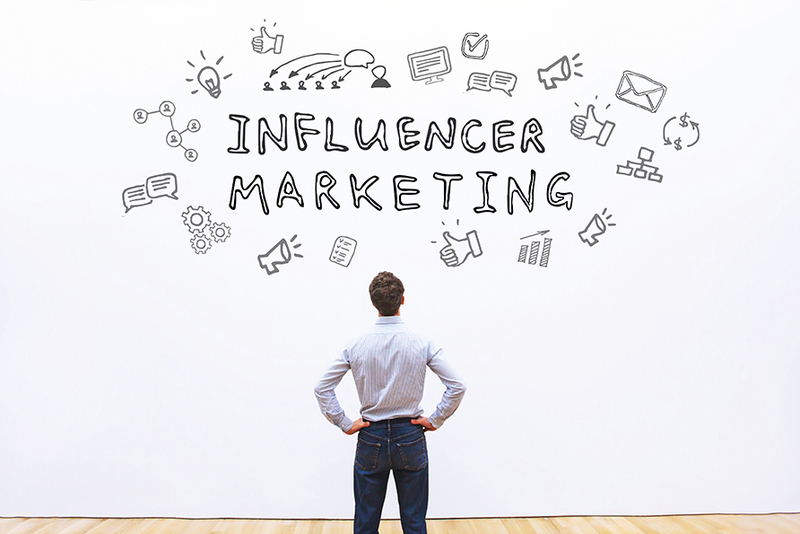 But nowadays, influencer marketing is all about brands reaching out to high-profile bloggers, YouTubers or individuals with massive social media followings, and asking them to promote their product or service. Being an influencer is now a viable career option all in itself, and it’s reinvented PR for businesses. But if you’re looking to dip your toe in the water and try out influencer marketing for yourself, there are a few things you need to know, and some key pitfalls to avoid. To help you on your way, we wanted to give you some tips to focus on when you’re building your influencer marketing plan. The best influencer partnerships are built on authenticity. You don’t want to just pick any old influencer to represent your brand. You want to find someone who is a natural fit for your brand and vice versa. Someone you know already has a passion for the kinds of things you offer, and maybe has even spoken about you in passing before in their posts. It’s remarkable how quickly even a loyal following will turn on an influencer (and your brand) when they catch a whiff of a forced paid partnership, so try to make sure there is a genuine love for the industry or product/services you provide there already. One of the biggest mistakes you can make when working with an influencer is to try to micromanage their deliverables. Part of working with influencers means that they are lending you their voice and their personality. Forcing your brand voice or messaging, or overdirecting things like art style goes against the benefits of working with them. You’re relying on them to deliver an honest (albeit positive) view of your brand from their perspective. If you push too much of your own messaging, you could actually turn people off, since they are tuning in for the influencers opinion, not yours. Adopting this approach could result in you missing your objectives and getting nothing from it. Did you notice that the hashtag #ad has started appearing under certain posts by influencers? The presence of #ad means that a brand paid for the ad or post to be displayed on the influencer’s account. Under UK advertising law, influencers (including social media influencers, bloggers and vloggers) are required to tell their fans they are being paid to promote products. They must show that the ad is ‘obvious identifiable marketing communications’, otherwise it’s a breach of advertising standards. Know this going in, and don’t try to push against it. As always, KPIs are the name of the game when it comes to marketing, and influencer marketing is no different. Make sure you set realistic goals around your influencer marketing campaign, alongside your measurement plans. All of these goals are great, but they might not all work for your business, and you probably won’t be able to do them all at the same time. Choose what will work for you, your influencer and your platform. Setting objectives and metrics to analyse these is fundamental to all marketing, but it’s particularly important for influencer outreach. While you’re choosing an influencer to work with and sketching out the structure of the campaign, make sure you have a clear goal in mind and know how you’re going to measure the success of the partnership. If you don’t know that, you’ll never know if it is worthwhile doing. One of the hardest parts of influencer marketing it working out how to get in touch with them, and how to do it in a way that makes them sit up and pay attention. Part of that is understanding how your chosen network works, and what network your influencer is most active on. For example, if someone’s main network is Twitter, Facebook or Instagram, and you’re mutually following each other, then message away. An ideal option is LinkedIn, as it’s a business-based environment that helps underline your intentions. Or you could opt for good old fashioned email – but you’ll need an eye-catching headline to make sure it’s opened. Try to personalise your messages so that you don’t sound automated. If you don’t, that’s a great way to end up in the trash folder! Once you’ve decided who you would like to work with and how you’ll reach them, keep your communications to the point. Don’t insult influencers by beating around the bush. Instead, be upfront and honest about your idea, and give them the opportunity to respond. Like you, influencers have a lot on their minds, and they aren’t going to read through a 500-word email to get to the proposition at the end. Keep your messages short, concise and on point, and don’t forget to include any value you’ll be bringing them. It’s very easy to get so caught up in the pursuit of influencer endorsements and glowing references that you forget to keep up with your own content. But when the whole aim is to drive people to your website, this can undermine your entire campaign! Remember to keep your content coming and promote it alongside your influencer campaign if you want to get the best results. A good influencer endorsement is a very valuable thing, but you’ll need to make sure it’s not a one-sided relationship. You should have planned out what value you’re delivering to the influencer already, so make sure you actually provide it. Some popular ways of getting an influencer’s attention include sending them a free product or service that they can try and then promote, inviting them to an event or launch, or paying a fee. Once you’ve got what you want from an influencer, don’t just kick them to the curb and move on. Influencers talk, and they will have put a lot of trust in you to be a reputable company. Endorsements are a risky business for influencers, and they don’t want to put their names to things that will ultimately backfire, and choosing you wasn’t an easy decision. Keep up the relationship in one way or another, even if you don’t want to work with them again in the near future. At Orbital Media, we do a lot of work helping businesses with influencer outreach and influencer marketing strategies, so you can be sure you get the most bang for your buck every single time. To find out more, get in touch with the team today.